The game is now distributed in most of the European countries. 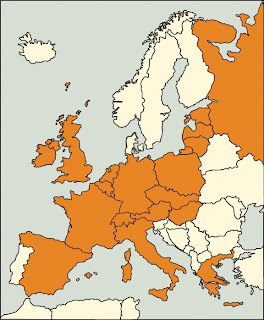 Here you find an overview of the European countries where the game should be easily available. The latest addition is this Greek version. Frederic, I love Saboteur! It's become a bit of a fashion in my church, we'll bring a set whenever we have a weekend away. Unfortunately, the 3 face down cards are scratched so cheaters know where the gold is without a map card. I was looking at buying another set (I'm in the UK) but there were only 3 hits on Google, and they were all out of stock. Have you stopped making it? Are there UK shops that don't have online stores that should stock it?